The conservative candidate for the European Union's top job has sharply criticized Greece's stance on Venezuela's political crisis, saying Prime Minister Alexis Tsipras is "blocking initiatives on a European level" that would support those "fighting for a democratic Venezuela." Manfred Weber, who heads the European Parliament's largest center-right group, said Thursday it was "a tragedy to see how the Greek government is now behaving on (a) European level." Venezuelan opposition leader Juan Guaido declared himself interim president last month, saying President Nicolas Maduro's re-election in May was fraudulent. The United States and a number of European Union countries have backed Guaido, but Greece's governing Syriza party has expressed its "full support and solidarity" for Maduro. Weber is running in May 23-26 European elections to succeed his EPP Christian Democrat party colleague Jean-Claude Juncker to run the European Commission. He told reporters in Athens: "Everybody who has eyes in his head must see that in Venezuela we have a dictatorship, a socialist dictatorship." He suggested the European Union should change its decision-making process in foreign affairs from requiring unanimous votes to allowing decisions to be taken through majority votes instead. That, he said, would ensure decisions "are not anymore in the hands of governments like here in Greece which have obviously more contact with (Russian President Vladimir) Putin and Maduro and not so much with the free world of democratic countries." 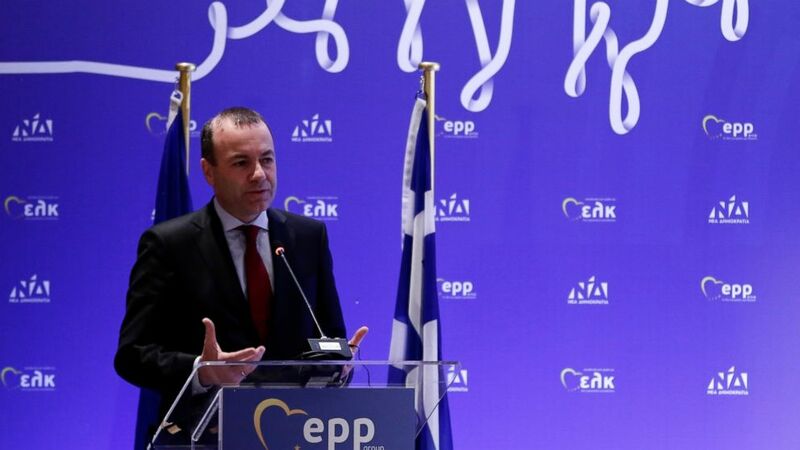 Weber was in Athens to attend a two-day EPP group meeting. Greece's left-wing government says it backs an EU initiative to try to find a political solution to the Venezuela crisis but has refused to endorse Guaido. Government officials had no immediate response to Weber's remarks. Greek opposition leader Kyriakos Mitsotakis, a close ally of Weber, said Greece's support for Maduro had hurt the country's standing. "I'm very sorry to say this but the position of the Greek prime minister on this issue is a disgrace for our country," Mitsotakis said. "It isolates Greece and it really reduces our political influence abroad."